The Magnetic Leo Full Moon is creative and expansive. It inspires romance, passion, and is empowering. It teaches you to live from a joyful place; and as you do, you become magnetic, drawing to you all of the goodness you desire. The fiery Leo energy is playful and childlike. It reminds you to connect with what brings you joy. The Leo Full Moon takes place on January 21, 2019 at 12:17 am ET (Jan 20th 9:17 pm PT). Leo is heart centered energy, and inspires you to shine your light out into the world (Aquarius). It helps you reconnect with your superpowers that you’re here to share with the world. You have unique strengths to give humanity, let Leo boost your self-confidence so we hear you roar. The Leo/Aquarius axis opens your heart. It helps you spread your joy with love and enthusiasm. It’s time to play big, and stretch your energy out to others who need it. How do you light up other people’s lives? How can you expand that light? This eclipse may shine a light in the area of your life where you’re not experiencing joy. This is the last of the eclipses in the Leo/Aquarius energy that have been taking place since February 2017. Where have these eclipses pushed you? Since it is the last, there is a sense of closure and completion. What have you learned since then? How have you integrated and share your gifts? What vibration do you want to project? And how can you connect deeply with it now? What tools help your heart be more open? Since this is the last of the Leo/Aquarius eclipses how can you celebrate your growth? This Full Moon is more intense and launching your projects and ideas forward. It’s time to celebrate what you’ve achieved and prepare for the next step. Release your perceptions and programming that holds you back. It’s time to play in your Genius Zone, playing full out. Are you noticing patterns from the Leo/Aquarius eclipses we’ve had for the past two years? What is coming to fruition? What needs to be adjusted? Use these journal prompts to inspire you and maximize this rich Leo energy. Observe how you are living and see what adjustments you feel inspired to make. Live from your heart (Leo) versus your head (Aquarius)! Review your birth chart and see what astrology House the Full Moon is moving through for you. This will help you align your intentions with the loving, compassionate, and playful energy of the Leo Full Moon. How will you love yourself and others more? What comforts will make you feel more at home? 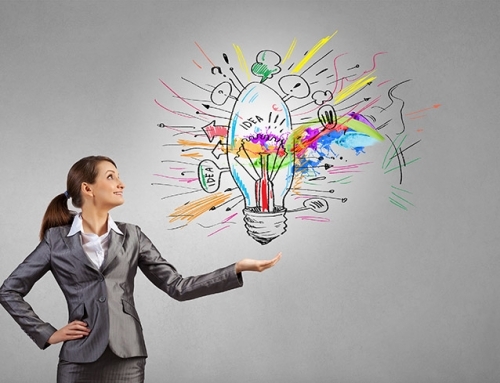 What ideas and gifts are you ready to share with the world? Answering these questions will help you navigate your emotions and this full moon. 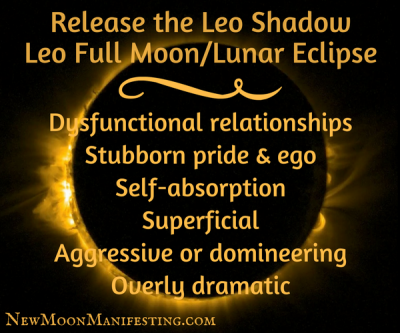 What will you do release with the Leo Full Moon? Happy Leo Full Moon and Lunar Eclipse!